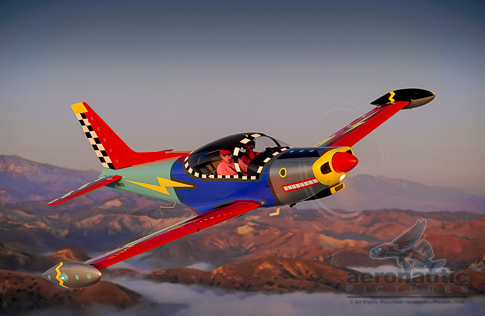 Aviation Stock Photo – Siai-Marchetti SF-260 Picture: A stunning air-to-air image of the Siai-Marchetti SF-260 airplane shot in a beautiful and colorful California sunset. This aerial stock photo is available for digital download on royalty free terms. The paint job of this Siai-Marchetti SF-260 is truly amazing! Download this high resolution airplane stock photo today.